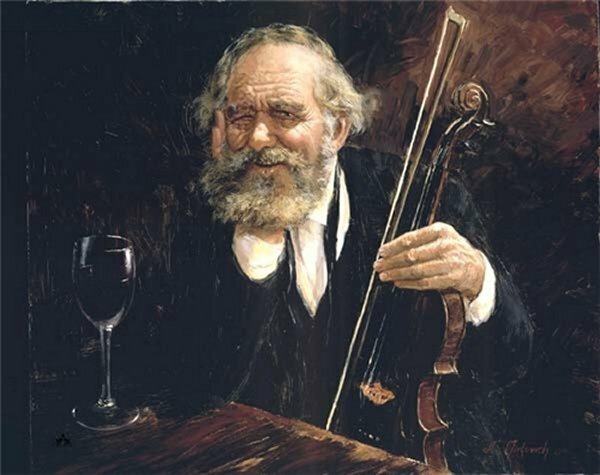 Young at Heart by Nenad Mirkovich ~ Mirkovich has a passion for music which he often combines with his art. Working mostly at night, Mirkovich paints with music playing in the background, usually jazz or classical pieces. Often, also, there is music on his canvas; musicians and musical groups are favorite themes. One of a recently completed series featuring jazz groups, painted in an impressionist style, is titled “In the Mood.” The piece has both high energy and high drama, and will appeal to both beginning collectors and music enthusiasts.